Mitochondrial DNA is inherited maternally, only. This means that mothers give their mitochondrial DNA to all of their children, but only the females pass it on. So tracking mitochondrial DNA back up your tree, it goes to your mother, to her mother, to her mother, until you run out of direct line mothers on that branch. The mitochondrial DNA is shown by the red shading below. The Y chromosome is blue. Mitochondrial DNA is not one of the 23 chromosomes you obtain from both of your parents. The X chromosome is different. The X chromosome is one of the 23 pairs of chromosomes. The 23rd pair is the pair that dictates the gender of the child. If a child has an X and a Y, it’s a male. Remember that the father contributes the Y chromosome to male children only. If the child has two X chromosomes, it’s a female. The inheritance patterns for the X chromosome for males and females is therefore different. Men inherit only one X chromosome, from their mother, while women inherit two Xs, one from their mother and one from their father. In turn, their parents inherited their X in a specific way as well. All ancestors don’t contribute to the X chromosome. In my paper published in the Journal of Genetic Genealogy (Vol. 6 #1) in the fall of 2010, in a paper titled Revealing American Indian and Minority Heritage Using Y-line, Mitochondrial, Autosomal and X-Chromosomal Testing Data Combined with Pedigree Analysis, in addition to other types of analysis, I analyzed my X chromosome and what it told me about where some of my Native and African inheritance came from. At that time, the only company returning ethnicity information about the X chromosome was deCode genetics. My X chromosome showed that I carried Native American heritage on the X chromosome as well as on some other chromosomes. I’m going to share the part of this paper involving the X chromosome and how it can be used genealogically and in particular, to identify candidates who could have contributed this Native and African ancestry. Blaine Bettinger granted me permission to use 2 charts in the paper and again for this blog. Thanks much, Blaine. He originally published them on his blog, The Genetic Genealogist, in December 2008 and January 2009 in his blogs about how to use the X chromosome for genealogy. The first chart shown below is the male’s X chromosome inheritance chart. You can see that he only obtains his X chromosome from his mother who inherited it from both her mother and father, but only from some of her ancestors on either side. The next chart is the female’s inheritance chart. She obtains her X from both of her parents. I numbered the slots so that I could work with them later. The results were quite surprising. The first thing that became immediately evident is that I didn’t have to worry about a few lines. 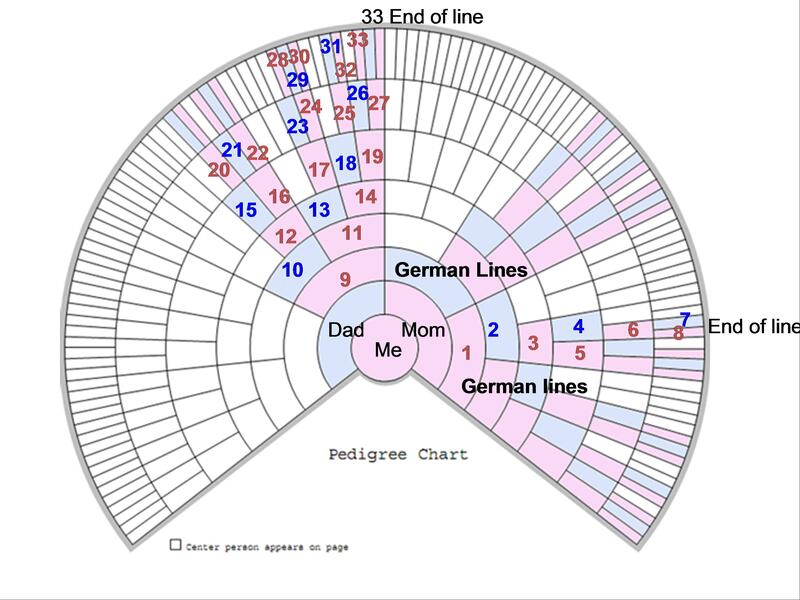 On the chart below, you can see that my mother’s German lines could be immediately eliminated, because we know they were not the source of the Native American heritage. This leaves only three individuals on the mother’s side as candidates for Native ancestry. Those are the numbered slots between the German lines. The people below correspond to the numbered slots above. See, I told you that you didn’t need to read the chicken scratch chart. 5 – Naby (probably short for Abigail), last name unknown but may be Curtis, born in Connecticut in about 1793. 7 – Capt. Samuel Mitchell, born probably about 1700, possibly in Kittery, Maine or possibly in Europe, mother unknown. This line is probably eliminated. Using the pedigree chart, we narrowed the mother’s side from 21 possible slots to 5 with one more probably eliminated. Of these, mitochondrial DNA sampling of the descendants of the two women whose last name is unknown would produce the answer to the question of maternal Native or African ancestry. 20 – Mary, wife of John Harrold (Herrald, later Harrell), born about 1750, died in 1826 in Wilkes County, NC. She was rumored to have been Irish. 21 – Michael McDowell, born 1747 in Bedford Co., Va. – his mother is unknown. His father was a second generation immigrant who lived in Halifax and Bedford Counties in Virginia. 22 – Isabel, wife of Michael McDowell, probably born about 1750, surname unknown, located in Virginia. 27 – Elizabeth, born about 1765, wife of Andrew McKee of Virginia. 28 – Agnes Craven is the last slot on the chart, but not the last in the line. Her father was Col. Robert Craven born 1696 in Delaware and was well to do. His mother is unknown. Robert’s wife was Mary Harrison, born in Oyster Bay, New York to Isaiah Harrison and Elizabeth Wright. These lines appear to reach back to Europe but are unconfirmed, probably eliminating these lines. 30 – Phoebe McMahon, wife of Joseph Workman, born 1745 York Co., Pa, daughter of Hugh McMahon, mother unknown. 31 – Gideon Faires’ mother was Deborah, born 1734, possibly in Augusta Co., Va.
32 – Sarah McSpadden’s father was Thomas McSpadden born 1721 in Ireland, eliminating this line. Sarah’s mother was Dorothy Edmiston whose father was born in Ireland, eliminating that line. Dorothy’s mother was named Jean and was born in 1696 but nothing further is known. 33 – Martha McCamm, born before 1743, wife of Andrew Mackie of Virginia, parents unknown. On the father’s side, we began with 13 slots, positively eliminating one and probably eliminating a second, leaving 11. Of these, 7 could be resolved on the maternal line by mitochondrial DNA testing. Taken together, this side of the pedigree chart is a much better candidate for both Native and African DNA sources. Notice all of the females who have no surnames. These are excellent places to look for Native ancestry. On my chicken scratch version, these are highlighted in yellow. 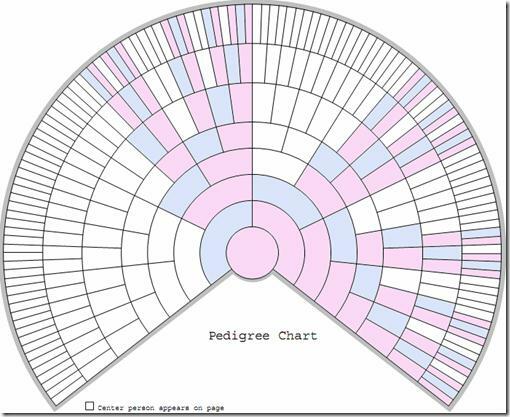 While the X chromosomal pedigree chart analysis is not the perfect scenario, the pedigree chart has 128 slots. Using the X chromosome narrows the candidates to 34 slots. Genealogy narrowed the slots to 15 and focused mitochondrial DNA testing could narrow them to 6. Further genealogy research on those ancestors could potentially eliminate them by placing them “over the pond” or by discoveries which would facilitate DNA testing. You might recall that Marja and I are also related on our X chromosome. In this case, since she is from Finland, the probabilities are exactly the opposite. It’s much less likely that our connection is on my father’s or mother’s British Isles lines, and much more probable that it’s through my mother’s German lines. The early colonial settlers tended to be from the British Isles and certainly the people filling the X chromosome slots from my father’s side appear to be, with names like McDowell, McSpadden, etc. Mother’s Anabaptist line (Brethren) is the German grouping through my mother’s father and descends from France and Switzerland,although these particiular lines don’t appear to have become Brethren until after immigrating to America. Marja also has other matches with people from the Anabaptist project. Veronica – wife of Rudolph Hoch, born 1683 Basel, Switzerland, died 1728 Oley Valley, Berks Co., Pa.
Susanna Herbein – born 1698, Switzerland, father Jacob, died 1763 Oley Valley, Berks Co., Pa.
Mother’s Dutch line is eliminated, because it’s through her father’s father. Marja and I thought that might be a possibility, but we can see from this chart that it is not. My father also has a Dutch line that was eliminated because it came from his paternal line. Mother’s Lutheran Palatinate line, end-of-line ancestors show below, is though Mother’s maternal line. Note that the mitochondrial line is indeed one of the lines that contributes to the X chromsome inheritance path, but only one of many. So Marja, it looks like we have to be related through one of my British Isles ancestors, listed in the first part of this article, or from one of Mother’s two German groups. Personally, I’m betting on the German groups, but you never know. DNA is full of surprises. 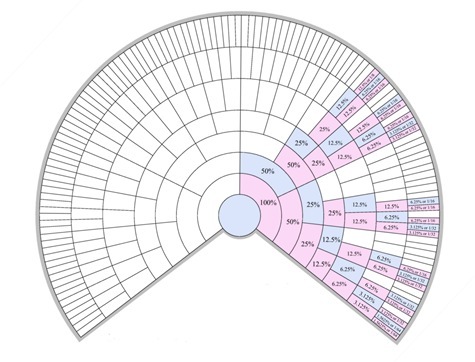 The good news is that my mother’s information is also at GedMatch, along with mine and Marja’s, so by process of elimination, we can at least figure out whether to focus on the pink or the blue side of my chart. Today, downloading your raw results to GedMatch, combined with Blaine’s X charts above, is really the only good way of working with X chromosome matches. I’m planning to package this article as a pdf file and send it to my X chromosome matches. You can substitute your information for mine and do the same thing. Hopefully, your matches will then understand the X chromsome, its unique inheritance properties, and will provide their X end-of-line ancestors for you as well. This entry was posted in X Chromosome and tagged Introductory DNA by Roberta Estes. Bookmark the permalink. I am female and don’t know my father’s ancestry. He was adopted. And I want to know more about where he came from. Do I have to get my brother to test as well to get a better idea of where my father came from? Yes, your brother inherited his father’s Y chromosome, which you did not. You’ll want to order the 37 marker Y DNA test from Family Tree DNA for your brother. Here is an article that explains the different kinds of DNA. https://dna-explained.com/2012/10/01/4-kinds-of-dna-for-genetic-genealogy/ The link to Family Tree DNA is on the sidebar of this blog. I have a situation where I believe that a woman we’ve identified is the Daughter of a long lost Aunt. I spoke with another cousin and said that I thought the best way to determine this was through mitochondrial DNA testing. I also said that all 3 of us needed to do it since we would all be from different sisters of the 3. They were separated at a very early age and had little or no contact later in life. I figured the “triangulation of the DNA” (if you will) will prove or disprove the identity of the lady we believe is our cousin. I know…I’m not making sense. The other thing we thought was if we could get her to load into GEDCom, maybe the X DNA would be….well, frankly less expensive. But if I’m reading you correctly, it wouldn’t be sufficient as “proof”, right? No, the X would not prove anything. MtDNA plus autosomal would be what you want to look at. 19 longest blockhowever she is related to my brother , 111 centimorgans -56 longest block ,but it gives no indication of being on his x dna. Is this person related through our mother’s family or our father’s ? I am so lost here. Thank you. From what you said, we can’t tell. Your brother got his X from your mother only, and you got 1 of your mother’s copies of her X, plus one from your Dad. So we can’t tell. However, see who that person matches in common with you and your brother to see if you can tell by known people in her in common list. I’m going to go out on a limb and assume it’s a typo for your number 7 Captain Mitchell born 1800. You probably meant 1700 right? Yes. Good eye. Thank you. Roberta, thank you for your excellent article explaining the X Chromosome and how we can use it to narrow down where we match with a DNA cousin. the other is: 103.4	13.3	3.6	X	18.7	13.4	. from my limited understanding both of these connections would be connected through my father’s mother. Can you confirm that his is the case? I can’t decipher what you mean, above. You’ll need to spell out what those numbers are representing. On gedmatch I have a lady that is a known match through my dads paternal line. However, I also show a 5.5 cm’s x with her. Does this mean she is related to me through my dads maternal side as well? They lived in the same area, so it is likely. She is not related on my maternal line at all. Thank you. It’s possible. Generally speaking, an X match needs to be twice as big as other matches to be taken seriously. So in this case, probably not. Thanks for the information, but as this area is new to me, can I ask a question? I administer a kit for my sister on gedmatch. She has a 1 segment match on x chromosome of 103 cm with a kit from a gentleman. They do not share any other autosomal DNA of significance. Based on what I’m reading, it looks like this is a 3-4 cousin perhaps removed. Am I on the right track? 103 cM is certainly substantial. Divide that in half and look at the reference charts for the other autosomes. I’m not where I can check right now. It could be further back in time but is worth pursuing. Question – I recently found out that my father is 6% native american. I believe this is from his mother’s side. 1 DNA test showed this as 6% and ancestry.com test showed no native american with my father. Two questions – why would it appear on one test but not the other, and if in fact it came from his mother’s side, and I’m his son, will I ever see native american in my genetic make-up. If not, does this simply mean it’s there but not showing up, or does it mean this part of my heritage ended with my father and I received none? Any insight would be great! Thanks you. Very informative indeed. So I have one follow up question. Is there a test available for me that would show my DNA from my father’s, mother’s mother? She was 25% Native America and he shows 6% using Family DNA vendor, and no native America from Ancestry. I’d really like to know if there’s a different test that may pick up her Native America. dNA in me. Your father’s mother’s mother’s line would be shown by your father’s mtDNA. Or any of her children if they are still living. Or her daughter’s children. You’re so kind to get back so quickly. So it will only show in my father’s mtDNA sample but not mine directly? No test that I could take would ever show native American if it is from my father’s mother’s mother? And if the answer is no does that mean that I did not inherit any of this native American ancestry? Or is it simply saying it’s not detectable? Ethnicity testing gives you estimates of DNA but you can’t determine the line they came from. mtDNA is different. How does one find a researcher to help with their DNA questions and solutions? is is possible to hire someone or is there a primer on where and how to begin, it all seems so overwhelming! Jan Mendoflower@juno.com. I am looking for family related to my mother’s mother who was adopted in San Francisco in b. 1 Oct 1906 through Native Daughter’s Gilden West. I have my line on gedmatch and ftdna, my daughter’s on ancestry..
Greetings! I am currently endeavored to link two female sisters to a now deceased father long buried (80 years) on a remote Pacific island. We hope to find his remains this year but in the mean time, is there a DNA test you would recommend we use to match their DNA to a father that we may only have teeth to compare? Your challenge is going to be where to have the teeth DNA processed to get it into a data base so you can compare. I would suggest Family Tree DNA, as they have worked with people before on these types of things. Thank you so much for your message and will check them out. My mother is the daughter of one of two brothers. I have tested a daughter of a daughter from each brother. One would be my mother’s first cousin 1x. The other would be her half niece. Each has shared cM values with my mother that would put them in either category. I have also tested three of my mother’s daughters, one of her granddaughters, four of her grandsons and a great granddaughter. One of the brother’s granddaughters has no shared x dna with my mother or any of her tested descendants. The other granddaughter shows 100 cM x dna with my mother, and shared x dna ranging from 40 to 60 cM with the three daughters, as well as lesser amounts with the granddaughter, great granddaughter and one of the grandsons. Might this be an indication of which brother is the father? Yes, I am. Let me get my infomation together, and I’ll contact you. Roberta, Mom passed away in April this year. She had told me that she would do a DNA test after I got my results back. She passed away a couple weeks before my results came back. I see on a comment above suggesting perhaps FTDNA could help the person with DNA results from teeth. I had read somewhere that you could also get DNA from dentures? Really? I have mom’s denture (the hospital gave it to me in a plastic container). Is it worth attempting to have DNA testing done on the denture? – THanks Paula. Do you know if the dentures were cleaned after she wore them last? If so, no. If not, then maybe in the future. Just preserve them untouched in their current condition. Thanks for getting back to me. WOW, I really don’t know if they were cleaned. I’m thinking not given the time of day she had the stroke. I’ll just keep them and hope that a time will come that they can do that type of test. Some people used to put their dentures in glasses of cleaner by their beds at night, too. If an adopted male is a strong atDNA match to three first cousins (we have determined him to be 1C1R or possibly a half-first cousin, based on shared cMs), but shows no match on the 23rd chromosome – can it be safely said that he is related to the three cousins through his paternal line? No, the X is often passed intact. My step father and my husband show as related on GedMatch’s one to one comparison, back 4.5 generations. However, they do not match on the X DNA comparison. Does that mean they aren’t related through their maternal lines? Unfortunately, the only thing you can prove by the X is if someone IS related. They could not share the X simply because of the way it was inherited. Thank you so much for this ! I am trying my hardest to trace family connections, I am maternal H1c and my fathers y line is R M222. Can I just say how much I love your work. My half sister and I have the same father, different mothers. Her grandson and I show shared DNA on the X chromosome on 23andMe. Is this our father’s DNA that was passed down through my half sister to her daughter and then to her daughter’s son? The more I read, the more confused I get. This is Hubert. I am trying to find out what DNA test to do, to find out the ancestors of my great grandfather on my father’s, mother’s father side of my family My father,his mother, and and his grandfather has already passed away. Please help me. Thanks very much. Roberta, I am adopted and I have a match on GED and we match at 554.4 cM autosomal and then we match at 67.90 X-dna. does this mean that we are related on my mother’s side of the family? The next closest match is 38.7 X- dna with 0 autosomal. Yes, that’s exactly what that means. Thank you very much, that helps out a lot. I am researching my mothers side. 1. It has been rumored in my family for years that her real father was an American serviceman, name unknown. 2. I also have doubts as to my grandmothers true birth surname. I have done a Autosomal DNA test but reading some of the previous comments I get the impression that a mitochondrial test would be of more help with determining my grandmothers true surname. Am I correct and would this mean taking a new and separate mitochondrial test? As far as the Autosomal test, will that be enough over time to help find my true grandfather given that hopefully one day someone in his family will do the same test? Could you also help me understand why out of hundreds of matches on Gedmatch, only two have X-DNA. I have a Male with Autosomal-Total cM 186, Largest cM 39. 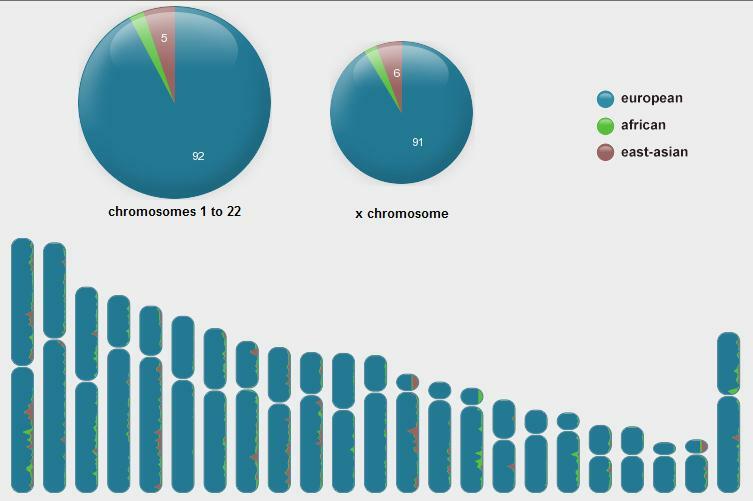 X-DNA-8.4 and a Female with Autosomal-Total cM 33, Largest cM 16. X-DNA-8.6. Appreciate your time. Hi Roberta, I’ve been totally surprised by my DNA results. I started with Ancestry, uploaded my data to MyHeritage and Familytree. I’ve retaken DNA with 23andme and now I’m waiting for mtDNA results from Familytree. Basically, I’m a 67 yr. old female, my parents immigrated from Ukraine and I have birth certificates for both, from the same little town, also named are their parents and grandparents all Ukrainian. My haplogroup according to 23andme is C4b, Northeastern Siberia and Asia which is what I expected. The surprise is that my DNA reveals I’m at least half Italian, 23andme says within the last 100 yrs. and it could’ve been a parent or grandparent. My problem is that my parents are both deceased, I have no siblings and only a few female first cousins from my maternal line. Can it be inferred, from my mtDNA, that my father is different than assumed and in fact Italian. In my mind a strong mtDNA location in the far East would make it a fair assumption that its the paternal side which is Italian. I understand that definitions of ethnicities are difficult given human migrations and geo-political changes. There are no family stories only one little hint, once. First of all – many thanks for the article, I’m much wiser now:). One question I have – you’ve mentioned that X is inherited from both parents,in case of a female. What is the logic behind the “mix” of both X-s?Is it some random 50% of mothers and 50% of fathers? I’m asking since I have a confirmed relative on my mother side, with which I should have sharing some X parts(according to the Pedigree chart above), but I apparently I don’t. Your father only has 1 X to give. Your mother has 2. So you can receive a mix of your mother’s 2, or either one. Of course males don’t receive an X from their father at all. Thank you for a prompt reply and sharing your knowledge! Hi Roberta. Love your articles. I am rereading about X chromosome analysis because we have narrowed down my paternal grandmother’s birth family, but need to confirm which line was paternal and which was maternal. I have X DNA results for me, my sister, my grandmother’s daughter and my aunt’s daughter. I also have autosomal DNA results for my two brothers. I see the various charts to use to map out the inheritance path, but wondered who I should put as HOME person – should it be the person whose DNA results we have or the person who is the subject of the inquiry, i.e., my grandmother? There person whose DNA was tested will tell you whose DNA they received. The person whose relatives you are seeking will hopefully be covered by the X of the person who is testing. Otherwise, the X of the person who is testing is irrelevant to the X of the person whose relatives you are seeking. Hello, first off, thank you for this article because I was one who thought that X-DNA was the same as maternal ancestry. This post clarifies a lot! Question: Is a 105.6 cM X-DNA match relevant enough to research? I’ve taken the 23andme test with my mom. I am a male and my X chromosome is almost 100% Italian, while one of my mother’s X is Iberian and the other French-German. Whats the explanation for that? Ethnicity is only an estimate. You need a male from that paternal line who carries the surname to take the Y DNA test. I would suggest contacting http://www.dnaadoption.com. That X match would be equivalent to a 14 cM regular match, so use the X chart to view the possible ancestors. Just because someone is assigned to the paternal side doesn’t mean ALL the DNA comes from that side. The X is included in your matches even if there is a small amount, if you match on another segment too. Ignore X matches below 10-15cM. Hello. I am trying to identify a woman’s biological father. She has a match with a male – they share 838 cMs across 32 segments (Ancestry DNA) AND share X-DNA of 112 cMs in one unbroken segment (Gedmatch). Questions: 1. Am I correct in assuming they are positively related via the male’s maternal line? 2. How significant is the strength of the X-DNA match? 3. Can you tell from this if the relationship between these 2 individuals is more likely half aunt/half nephew or a cousin?Thanks. Yes the male’s maternal line for the X. I can’t tell the relationship, but it’s a significant match. I’ve received surprising results from FamilyTreeDNA (~39% Ashkenazi Jewish), 23andMe(49% Ashkenazi Jewish) and Ancestry.com (49% Ashkenazi Jewish). I had no idea I had Jewish ancestors. It’s not from my mother’s side as my aunt has no Jewish DNA. My mother died 6 years ago. Also, who I thought was my father has no Jewish DNA either. Is it safe to say that he is not my biological father? Also, is it safe to say that my Jewish DNA did not come from my mother’s side? I have one first cousin once removed, a few 2-3rd cousins (on the sites mentioned above) who share my Jewish DNA, but the trail has grown cold. I was pursuing the 1st cousin once remove and have determined the link is from his mother’s side, but she passed a long time ago. She has one brother still alive and they are trying to get him to take a test, but he is resisting. Anything else I should be doing? Can you help me from here? Thank you! He way to be added is to subscribe. It’s free. Just click the follow button in the upper right hand corner of the main blog page. 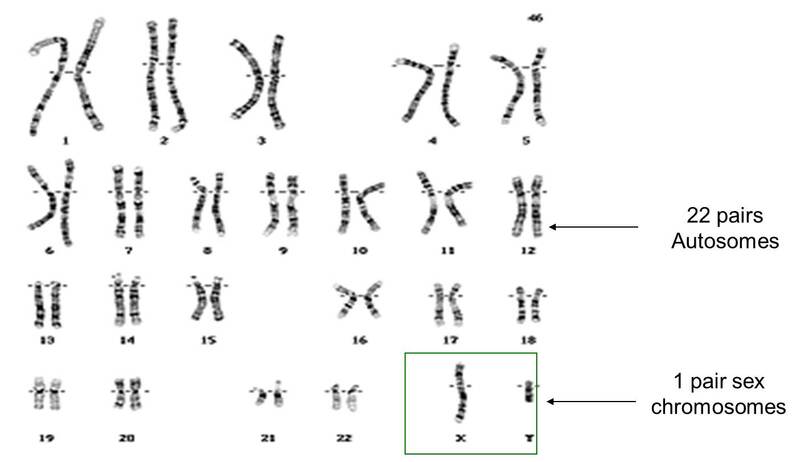 If I share a small segment of autosomal DNA (8.1 cM) with a male, but we don’t have a match for an X chromosome, would we necessarily be related by the paternal line of this male? Not having an X match doesn’t mean anything. I love the charts! Is there a way to get them so I can use them in my research? Also I would love to subscribe. It’s easy to subscribe. Just click the follow button. On a desktop it’s in the upper right corner. I believe the charts are available on Blaine’s blog or through Charting Companion. 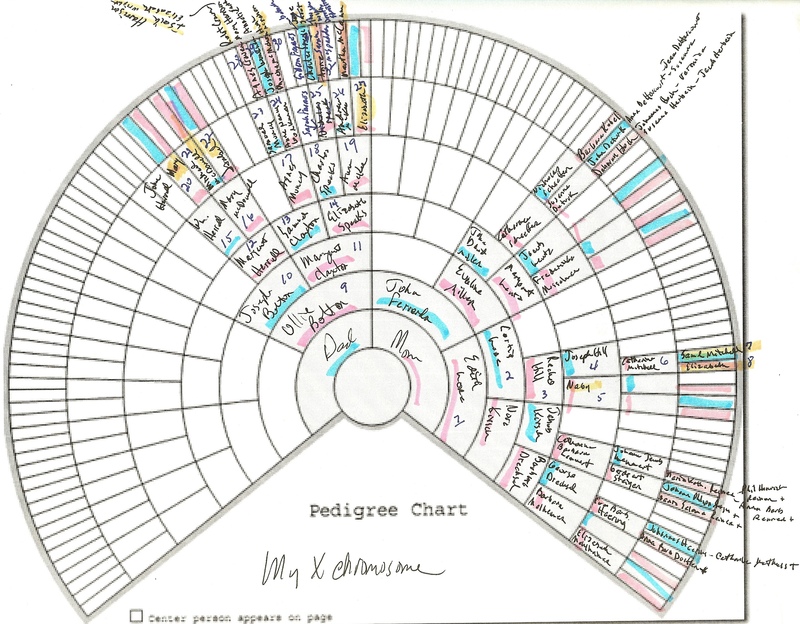 I use their software because it charts and colors my own chart in my genealogy software. Through Family Tree I have an x-match with a 2nd-4th cousin female on my father’s side (based on name and paper trail). I am male and as I understand it, a male x-match would only be on my mother’s side. I know of no connection to this person through my mother. Any thoughts? X matches need to be twice as large as other matches to be equally relevant. how large is the match? I have the opposite situation. I am a female with an X match of 102cM to another femail. We share no autosomal DNA over 5cM. I expect this is a paternal match and is likely a female to male pass (times 3) for at least 6 generations. Any other thoughts? The X can stay intact or nearly so for a very long time. You can both look st your trees to eliminate possibilities and look at who else you match in this segment. I have quite a puzzle on my hands. We were surprised to find matches to a large number of French Canadians. Everyone on the grandparent level were accounted for (English, Irish, German, Native American) except my maternal grandfather. Turns out the stories he told about his lineage were not at all true. The issue is that I don’t know how to figure out who he was. Many of the same names come up in matches, but which is the CA? I was trying to say I feel I have too little information to figure out our common ancestor. I see many who are named Tremblay, Boucher in common with my matches. The trouble is that those two families intermarried, adding another level of confusion. Many matches don’t have trees, which is also a barrier. I would look for clusters of people on that side, then look for overlapping trees. It’s miserable, but there is little else you can do. Unfortunately, with endogamy, it may be a gigantic mess. Try genetic affairs and see if you can label groups. Then focus on the ones you can’t identify. I may book a consult to see if I’m on the right track with the X matches. There are some French ones on GEDmatch. I believe that means that it would point to my maternal grandfather’s mother being French (ruling out the others due to knowing their lineages). Which begs more questions.